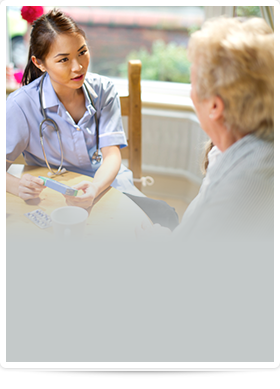 If you require specialized post-operative care or medical treatment that is typically only performed in the hospital, Shene Nursing Service may be able to perform the same care in the comfort of your own home. Local hospitals in the Hamptons and surrounding areas will refer patients to Shene Nursing Service for personalized aftercare, also known as medical private duty nursing. With Shene Nursing Service, you can have hospital-grade care without the hospital environment and with a much more personal touch. Our nurses are knowledgeable and caring medical professionals who take the time to know you and treat you with respect. They will work with your family to determine what services are needed, develop a care plan, monitor the condition of your loved one, and provide updates to family members and physicians. We simply do whatever it takes to keep you or your loved one comfortable and as healthy as possible. Shene Nursing Service serves the Hamptons and East End of Long Island with elite in-home nursing care, performed by licensed nurses and medical professionals. Contact us online or call now to learn more: 631.324.9555. I appreciate all of the care and attention that you gave to me this summer. I made a lot of progress and I will continue after I get past this small hurdle.